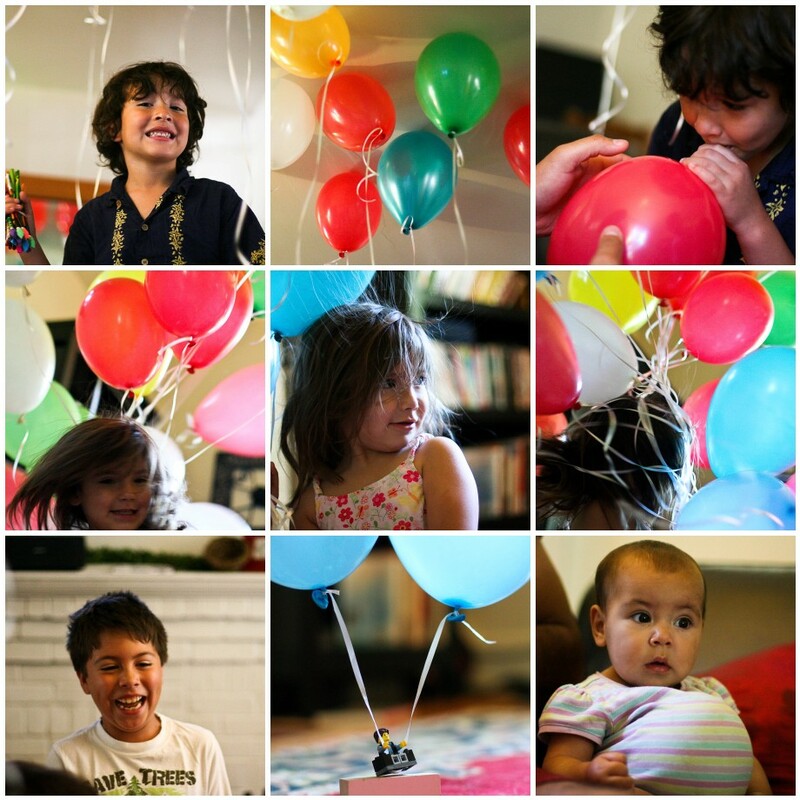 Balloons– I woke up before I was supposed to, so I helped Jorge blow up 100 balloons in my living room for my celebration. Gotta leave it to the event manager husband to come up with the best idea to show you are loved and worth celebrating. Lucy was delirious…”Let’s get this party started!” she kept saying while twirling. And the ole’ sucking helium and singing like the chipmunks is the best silly fun! ever. Responsible Giving– Let’s just say it was HUGE progress for my family to give me a gift within the budget. HUGE, huge progress people! and now I have a lovely starter nest egg for my super wow camera I’m going to buy after I’ve SAVED for it! Dreams– a random conversation this morning , “I hope your dreams come true Jackie-boy.” I said. “Me too, except the bad ones. But I’ve only had like 3 of those.” he replied. I think our dreams are coming true. I’m waiting for one more phone call but I think we are gonna make our GOAL!!! We are at 3754 pencils but we have 2 BIG donation counts coming very soon. It looks like we will do it!!!! Have fun picking strawberries! We’re still more than a month away, I’m afraid. I can’t wait until we have our own fresh berries, too. There are few things in life that are better. Oh, that sounds weird to say I befriended her… like a dog or something. Not what I meant. She was just someone in obvious need of some care and attention and it worked out last year for me to give those things. I have not been as able to do so this year, but it was great to see her yesterday and I do want to take her to pick berries. I absolutely adore strawberries and I am obsessed with making as much things with strawberries that I can. I do this every year. And today? We’re going strawberry picking, too! Here in SoCal, it’s probably not as nice or pretty as where you are. We’re doing it at a big strawberry field located next to a freeway. lol. I L-O-V-E picking strawberries, the bite of the first one picked and the red fingertips. I hope you have a fantastac day, Patience. Happy Mother’s Day to you! Happy Mother’s Day! I hope you thoroughly enjoy your Mother’s Day miracles of strawberry picking and beautiful children. Happy Mother’s Day! I love the pics you posted. Definitely felt the party vibe! Enjoy the berry picking. Can’t wait to see you next week when I get into town. You deserve that miracle P. I hope it was everything you needed. and more. Happy Mother’s Day, P! Those sweet miracles are really meant for you because you have such a good heart. I love all your beautiful little miracles! You are wonderful and it only makes sense you and Jorge would create the same! Love you All! Hope the strawberry picking was perfect! I hate to admit it, but I’ve never picked a berry, apple or fruit of any kind. Where was i in my childhood? Patience, I’m so filled with joy to know your mother’s day was a beautiful one. Congratulations on reaching the goal for Pens of Hope!! Please keep me informed on any new projects I may participate along with you! « these kids, oh my heart!! !